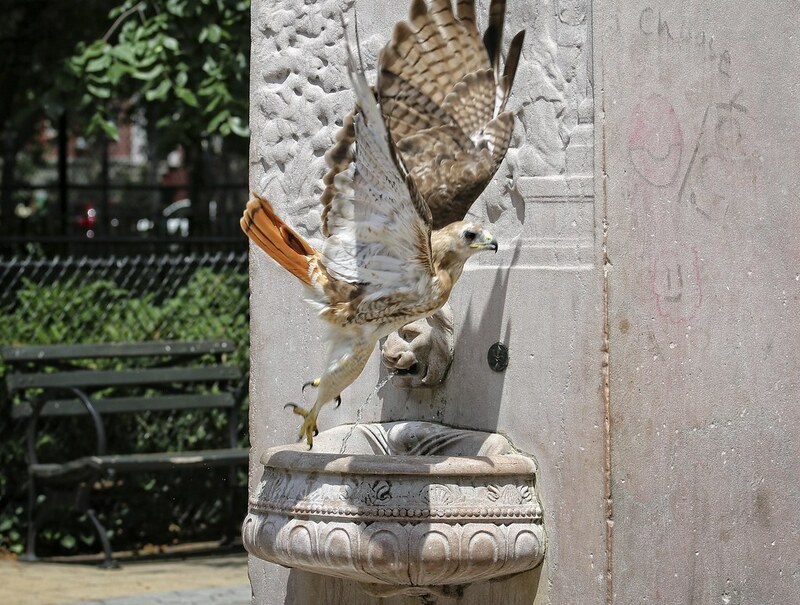 The summer heat just won't let up, driving the Tompkins Square hawks to find relief by playing in sprinklers and soaking in the birdbaths. 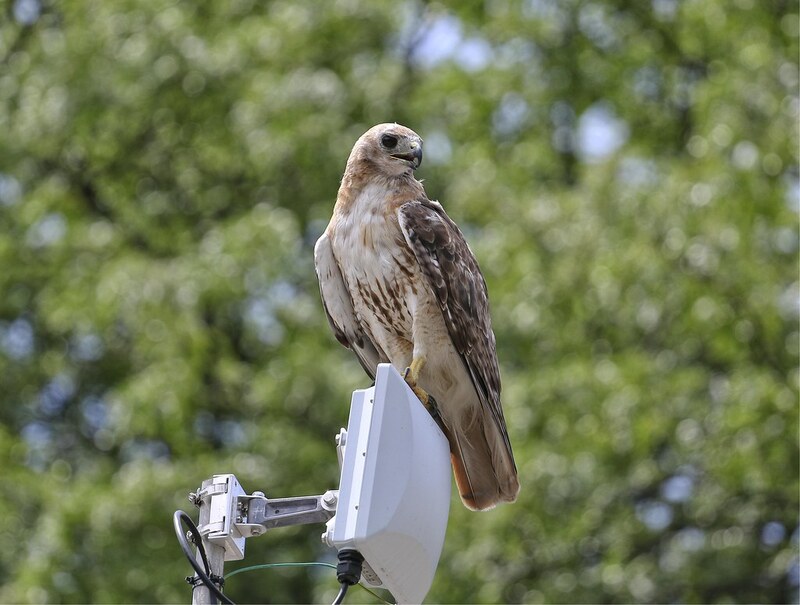 On Sunday, I found Christo catching a breeze atop the cellphone antenna on the roof of the park offices. He's currently molting and looking a little disheveled, but he'll soon be back to his handsome self. 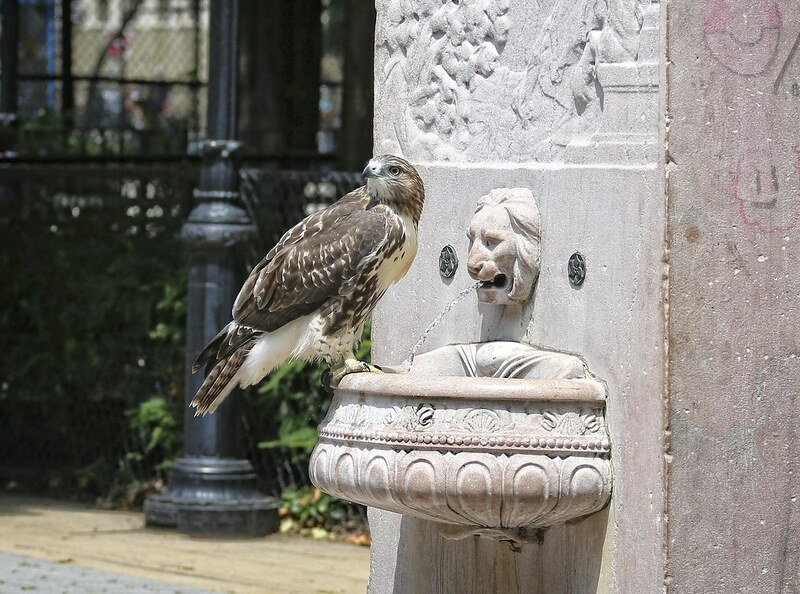 The day was so hot, even a hawk has to drink water. 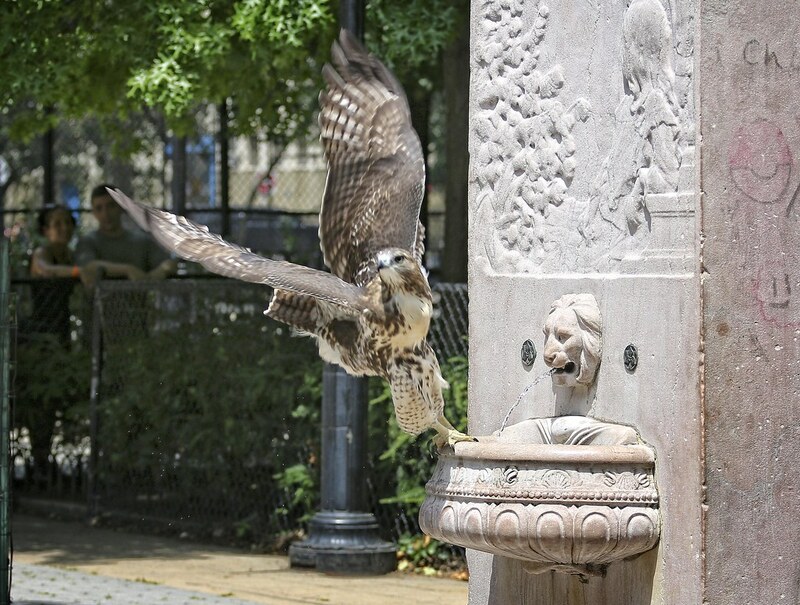 Christo couldn't resist the tempting lure of the cool running stream at the General Slocum memorial fountain. 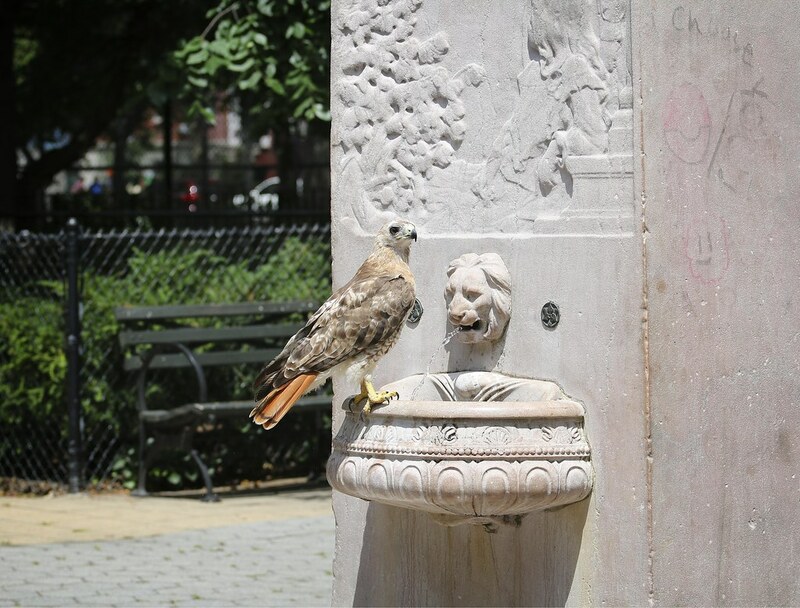 I've never seen a hawk drink from this fountain, so I was pretty excited to see this. 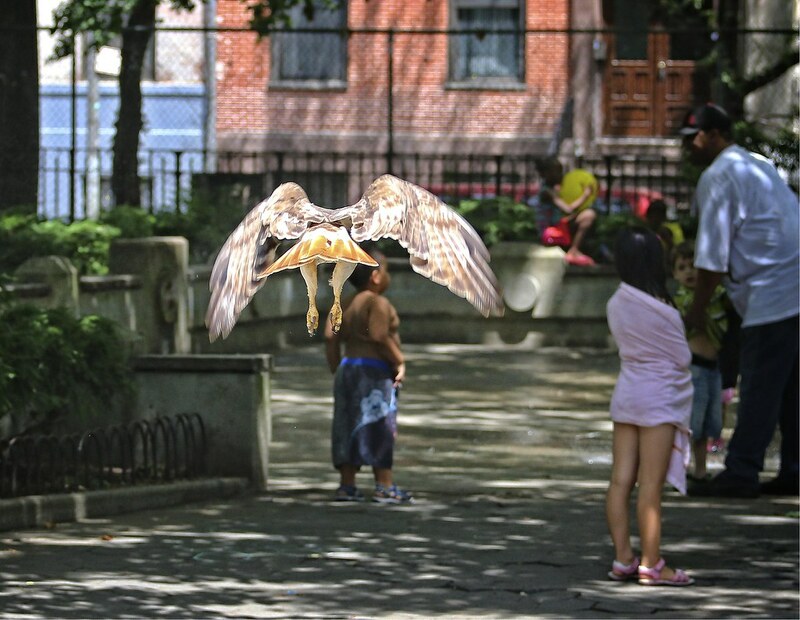 After getting his fill, Christo took off to play with some kids into the shade. 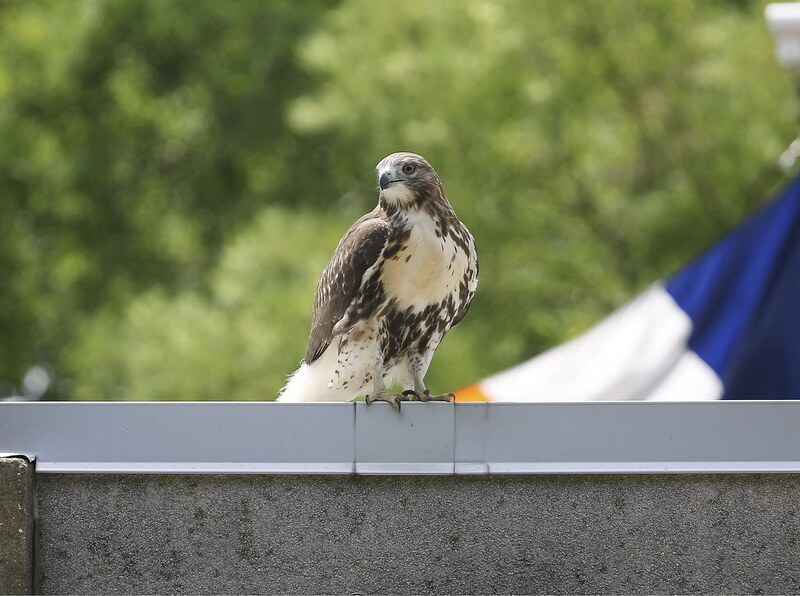 About a minute later, one of the fledglings appeared on the roof of the park offices. 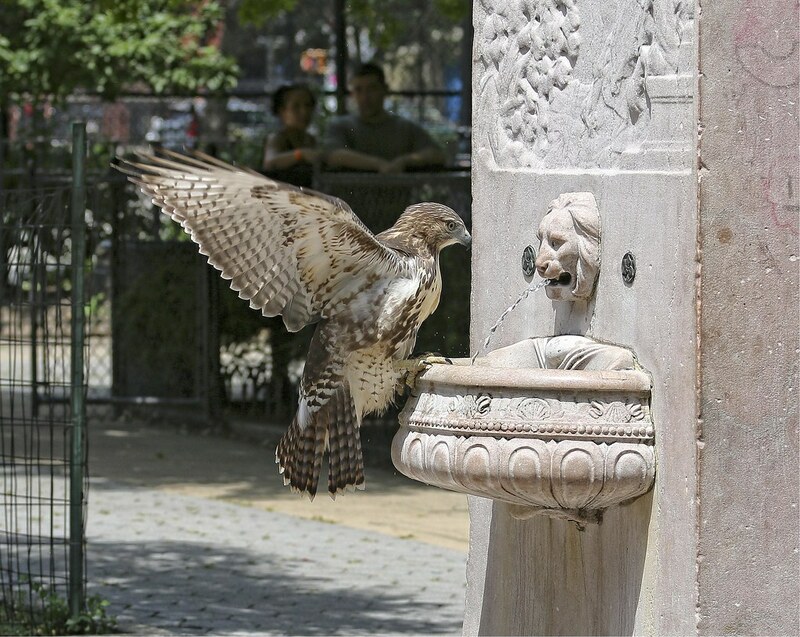 It, too, needed to quench its thirst, so it dove down to a puddle at the foot of the fountain. 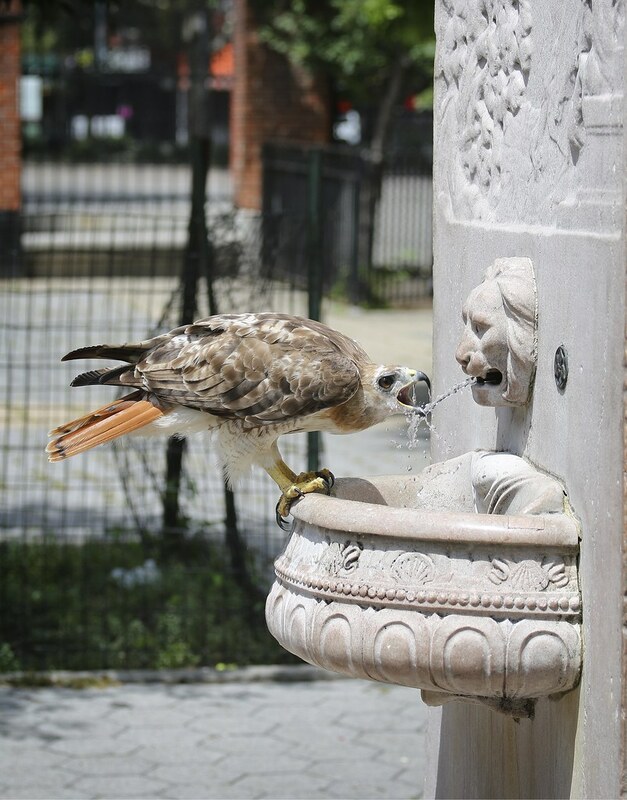 But why settle for puddle water when there's fresh water to be had? 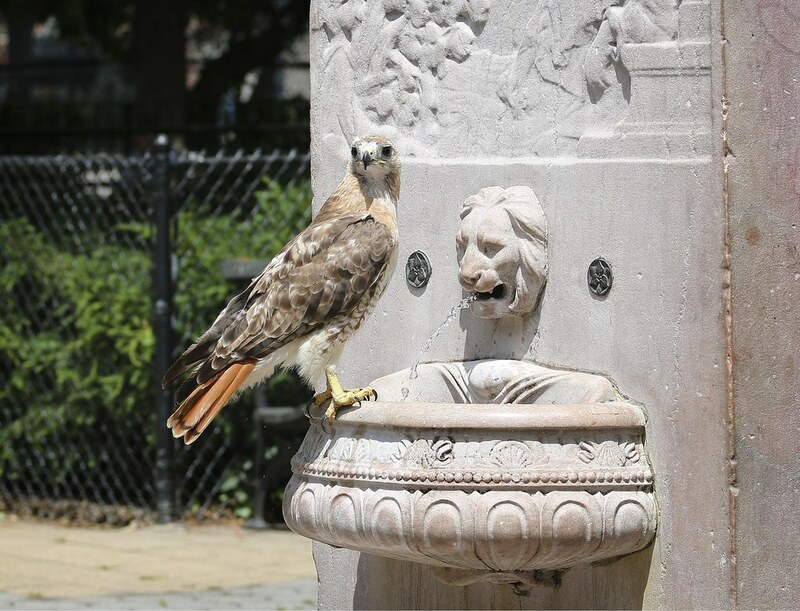 Did Christo show the fledgling to drink from the water fountain? Did the kid learn by watching someone else do it first? 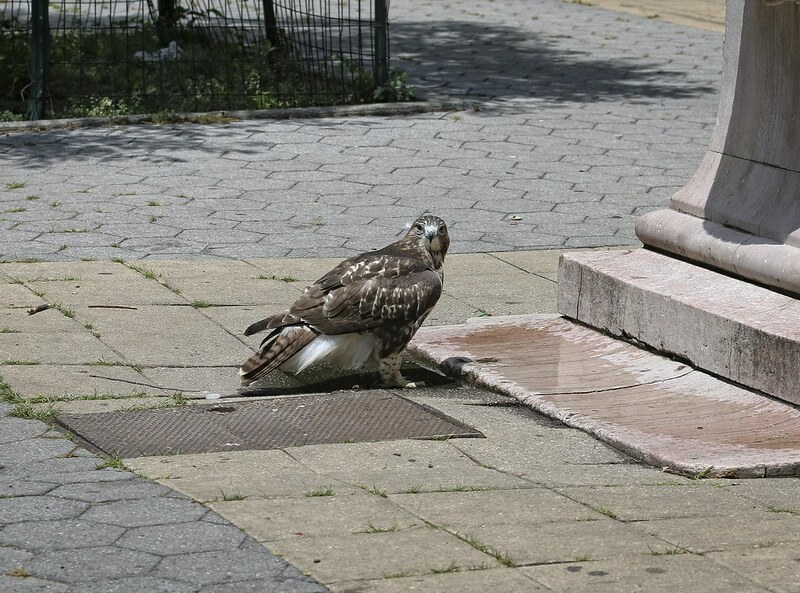 Or maybe the young hawk has done this before and I just haven't seen it. 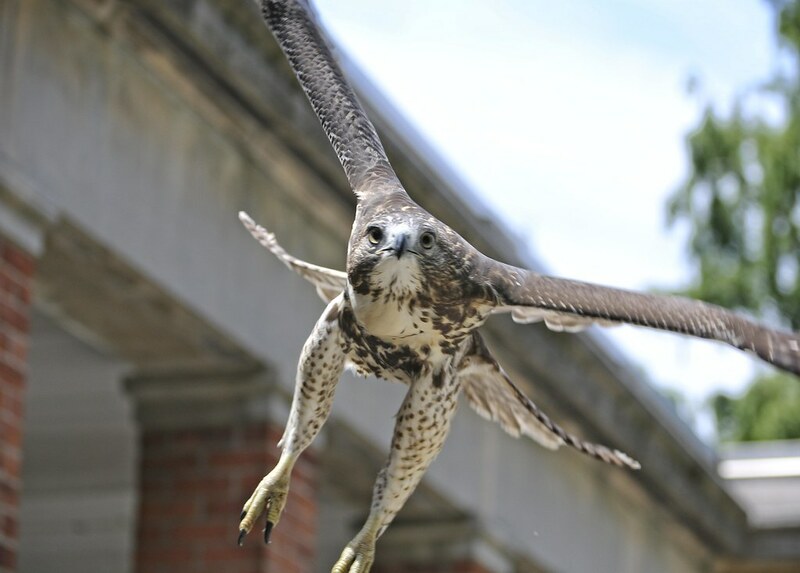 Regardless, seeing two different hawks do this back to back was a thrill. 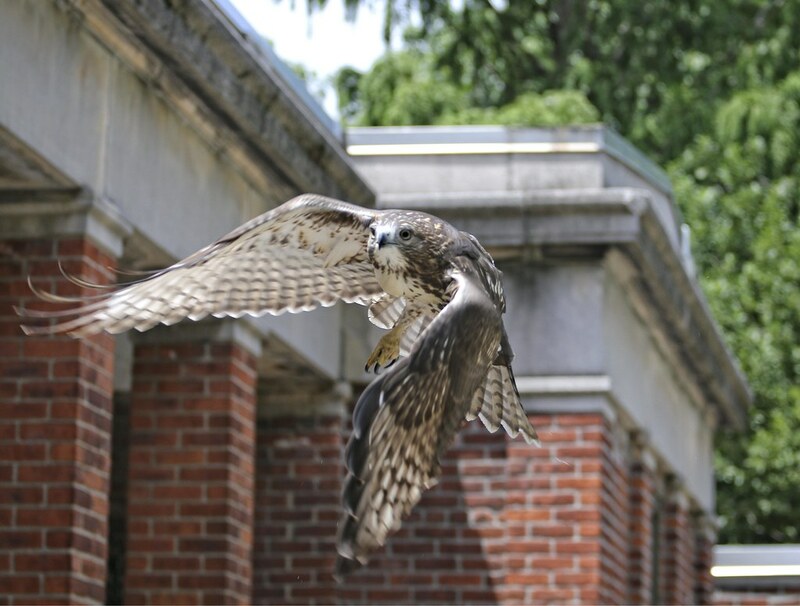 Taking after its dad, the fledgling flew right at my head. It's always unnerving, but I love it.